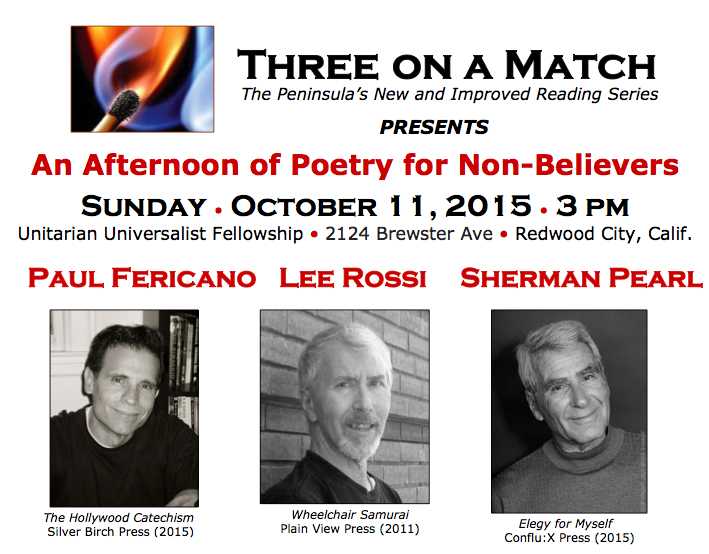 Paul Fericano is a poet, satirist, social activist and San Francisco native. His poetry and prose have appeared in publications and media outlets in the U.S. and abroad since 1971, including The Realist, The New York Quarterly, Krokodil (Moscow) and Charlie Hebdo (Paris). He is a recipient of the Prix de Voltaire (France) and the Ambrose Bierce Prize (San Francisco). 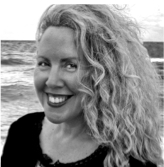 Ellaraine Lockie is a widely published and awarded author of poetry, nonfiction books and essays. Her newest collection, Love Me Tender in Midlife, has been released as an internal chapbook in IDES from Silver Birch Press. Ellaraine teaches poetry workshops, frequently judges poetry contests and serves as Poetry Editor for the lifestyles magazine, Lilipoh. Art Beck’s poetry and essays have appeared in a wide range of literary journals, including Alaska Quarterly, OR, Artful Dodge, and Translation Review. His several collections of poetry and poetry translations include Luxorius Opera Omnia, a Duet for Sitar and Trombone (Otis College, Seismicity Editions), which was awarded the 2013 Northern California Book award for poetry in translation. Paul Fericano is a satirist, literary provocateur and social activist. His poetry and prose have appeared in publications and media outlets in the U.S. and abroad since 1971, including The Wormwood Review, Mother Jones, Saturday Night Live, and Krokodil (Moscow). He is a recipient of the Ambrose Bierce Prize (San Francisco) and the Prix de Voltaire (France), and the creator of the 1982 Howitzer Prize, a literary hoax that targeted Poets & Writers, Inc. of New York. Paul is a San Francisco native and lives on the peninsula. His latest collection is The Hollywood Catechism (Silver Birch Press, 2015). 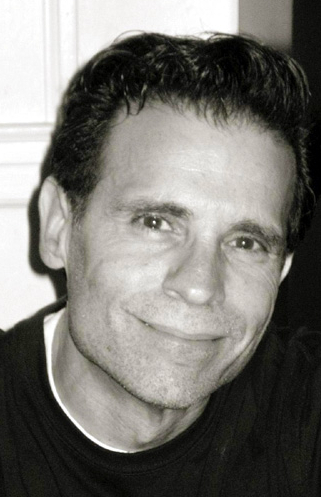 Lee Rossi has published hundreds of poems and dozens of reviews and interviews in such diverse publications as Southern Poetry Review, The Sun, Beloit Poetry Journal, and North American Review. He draws inspiration from poets living and dead, and in the past twenty years has attempted to meet as many not-yet-dead poets as he can. His ultimate concerns as a poet can best be gauged by an excerpt from a posthumous interview with the German poet Rainer Maria Rilke. Lee is a longtime resident of San Carlos. Sherman Pearl is immediate past president of Beyond Baroque, Los Angeles’ preeminent poetry center. He was a cofounder of the L.A. Poetry Festival and a co-editor of CQ (California Quarterly). His poetry, which is both elegant and fiercely political, has appeared in more than 50 literary journals and anthologies, including The Atlanta Review, Verve, Rattle, and The Sun, and has won many awards. His newest collection, Elegy for Myself is his fifth. Sherman is a retired journalist and publicist who lives in Santa Monica. 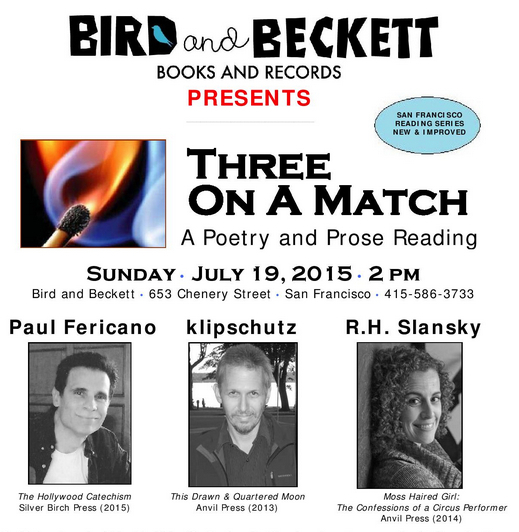 Paul Fericano, author of The Hollywood Catechism (Silver Birch Press, March 2015) will read from his poetry collection on Sunday, July 19th, at Bird and Beckett Books and Records, 653 Chernery Street, San Francisco. For details, visit birdbeckett.com. 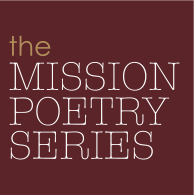 The sixth season of The Mission Poetry Series wraps up on Saturday, April 18th, at 1 p.m. in Santa Barbara, California, with “People, Earth, Sky, Stars: Two Poets in Spring” featuring nationally acclaimed poet Denise Duhamel and San Francisco poet and activist Paul Fericano. WHEN: Saturday, April 18, 2015 at 1 p.m.
PAUL FERICANO is a poet, satirist, social activist, and community organizer born in San Francisco. He is the editor and cofounder of Yossarian Universal, the nation’s first parody news service, and the editor of The Broadsider, an ongoing project of limited-edition poetry broadsides showcasing previously published work by a diverse group of authors. His poetry has been widely anthologized and was featured in 2014 in Four By Two, a limited-edition handcrafted arts journal edited by poet and lyricist Klipschutz. His chapbook, The Hollywood Catechism, was one of thirteen chosen by Silver Birch Press of Los Angeles for Swallow Dance: An Anthology of Poetry Chapbooks (2014). His new and expanded collection, The Hollywood Catechism, was also published by Silver Birch Press in March 2015. ¶ Since 1971, his poetry and prose have appeared in literary and media outlets in this country and abroad, including Mother Jones, MiPoesias, The New York Quarterly, Poetry Now, Projector, The Realist, Saturday Night Live, SoHo Arts Weekly, Vagabond, The Wormwood Review, Charlie Hebdo (Paris), Punch (London), and others. Additional chapbooks and books of poetry and fiction include Cancer Quiz (Scarecrow Books, 1977), Commercial Break (Poor Souls Press, 1982), The One Minute President (with Elio Ligi / Stroessner Verlag, 1986), and Interview with the Scalia (Peabody Press, 1994). His 1977 collection, Loading the Revolver with Real Bullets, published by Second Coming Press and partly funded by the state of California, achieved notoriety in 1978, when one of its poems, “The Three Stooges at a Hollywood Party,” was read on the floor of the California State Senate as a reason to abolish the California Arts Council. He currently serves as director of Instruments of Peace (IOP), a nonprofit that focuses on healing and reconciliation for survivors of clergy sexual abuse, and writes an online column on these issues (“A Room With A Pew”). He is a resident of the San Francisco peninsula. 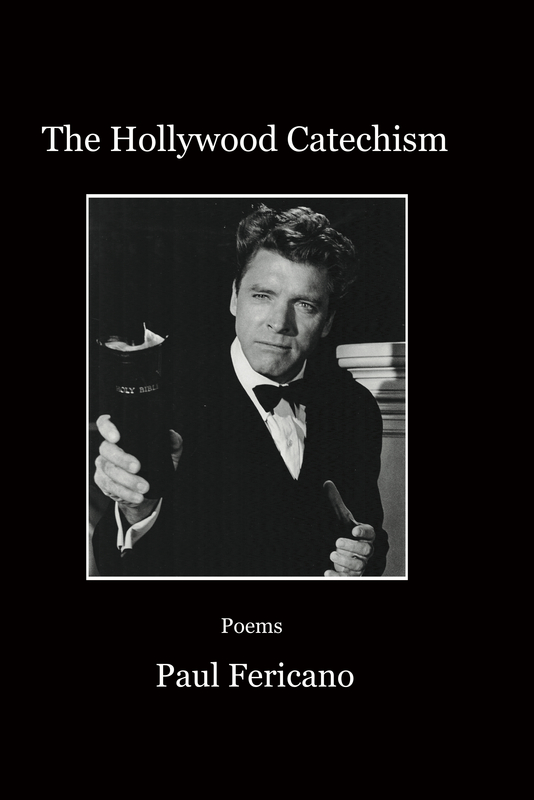 Silver Birch Press is pleased to announce the March 20, 2015 release of The Hollywood Catechism, a 110-page collection of poems by Paul Fericano. ABOUT THE BOOK: In The Hollywood Catechism, Paul Fericano shines a bright searchlight on our addiction to pop culture, our fixation on celebrity worship, and our suspicion of religious ideas. Each poem is a small lens flipped to reveal an alternate universe into which the reader enters bravely with no exit sign in sight. Fericano’s unique perspective is marked by a skill and talent that blends socio-political satire with suffering and sentiment. In the process, he manages to acknowledge our shenanigans and celebrate our humanity. Elizabeth Taylor, Jesus, and Joe DiMaggio join hands with Freud, The Three Stooges, and Ann Landers, as Burt Lancaster, Charles Bukowski, and Johnny Unitas break bread with Wallace Stevens, Dean Martin, and Dinah Shore. And as U2’s Bono and Tyrone Power’s Zorro haunt each other’s dreams, the Marx Brothers discuss opera with Oprah. From the wickedly satirical “Sinatra, Sinatra” and its use of the crooner’s name in vain, to the irreverent appeal of “The Actor’s Creed,” “The Halle Berry” and “Prayer of the Talking Head,” Fericano’s lampoons are equally deft. The book’s empathetic “Howl of Lon Chaney, Jr.” is not only a luminous parody of Allen Ginsberg’s epic poem “Howl,” but a stunning work that stands on its own merits. 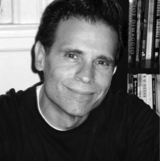 ABOUT THE AUTHOR: Paul Fericano is a poet, satirist and social activist. He was born in San Francisco in 1951, the year the term “rock and roll” was first used on the radio. He is the editor and co-founder of Yossarian Universal (1980), the nation’s first parody news service. Since 1971, his poetry and prose have appeared, disappeared and reappeared in various underground and above-ground literary and media outlets in this country and abroad, including: The Antarctic Review, Inside Joke, Mother Jones, Poetry Now, Projector, The Realist, Saturday Night Live, SoHo Arts Weekly, Vagabond, The Wormwood Review, and Catavencu Incomod (Romania), Charlie Hebdo (Paris), Il Male (Italy), Krokodil (Moscow), Pardon (Germany), Punch (London) and Satyrcón (Argentina). ¶ His chapbooks and books of poetry and fiction include: Cancer Quiz (Scarecrow Books, 1977); Commercial Break (Poor Souls Press, 1982); The One Minute President (with Elio Ligi / Stroessner Verlag, 1986); and Interview with the Scalia (Peabody Press, 1994). Loading the Revolver with Real Bullets (Second Coming Press, 1977), a collection of his work partly funded by the state of California, achieved notoriety in 1978, when one of its poems, “The Three Stooges at a Hollywood Party,” was read on the floor of the California State Senate as a reason to abolish the California Arts Council. ¶ In 1982, he received the Howitzer Prize for his poem, “Sinatra, Sinatra,” an award he himself created and exposed as a literary hoax to reveal the absurd nature of competitive awards. The following year, Commercial Break received both the Prix de Voltaire (Paris) and the Ambrose Bierce Prize (San Francisco) for upholding the traditions of socio-political satire. ¶ He currently serves as director of Instruments of Peace/ SafeNet (2003), a nonprofit reconciliation group for survivors of clergy sexual abuse and writes an online column on the healing process (A Room With A Pew). He is a resident of the San Francisco peninsula. Find The Hollywood Catechism by Paul Fericano at Amazon.com.